Lamborghini, Audi, McLaren, Mercedes, BMW, Aston Martin, Ferrari, Porsche, Nissan and Bentley: the best supercar in the world are here, in the Blancpain GT Series. Over 50 GT3 class cars entered in each event, powered by > 500 hp engine, every round in one of the most beautiful circuit in Europe, for 3 hours races, in add to the legendary 24 Hours of Spa-Francorchamps and 1000 kms of Paul Ricard. 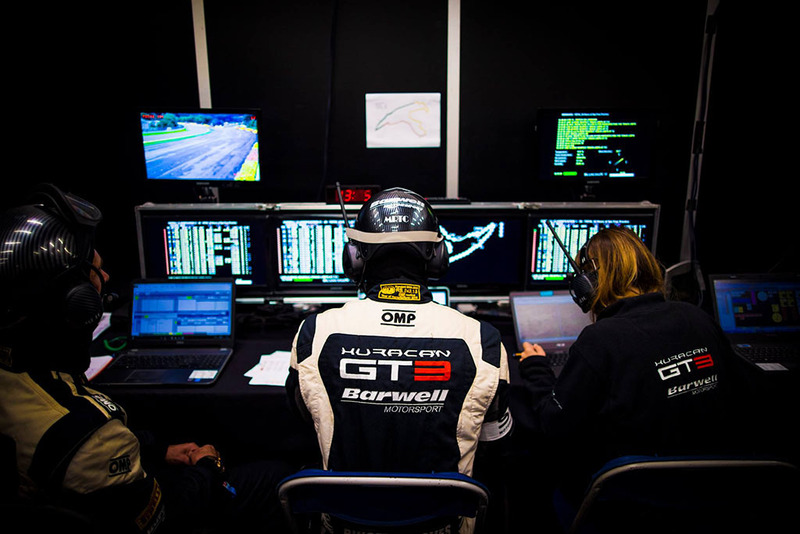 From 0 to 100 km/h in 3"
Barwell Motorsport is one of the UK’s most successful professional racing teams, having been competing at the forefront of different motorsport categories during the past five decades. It has a race-winning history dating back to the 1960s, and has competed in many different kinds of motorsport disciplines including GT/sportscars, Touring Cars, single-seaters and historics. Since the team started its GT racing programmes at the end of 2005, it has been one of the most successful and versatile outfits of its kind. Barwell has raced in the GT1, GT2, GT3 and GT4 categories all around the world. The team has competed in top level sportscar and GT racing championships in the USA, UK and Belgium, as well as pan-European series such as the European Le Mans Series (ELMS) and Blancpain Endurance Series. It has also contested the world’s premier GT race event, the 24 Hours of Spa-Francorchamps in Belgium, scoring a hat-trick of Pro-Am Podium finishes during 2014-2016. In 2011 the team was chosen as the outfit that would bring the famous Le Mans-winning name of Ecurie Ecosse back to international sportscar racing. 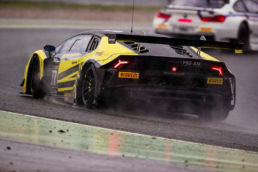 This partnership lasted through to the end of 2015 and resulted in two British GT Championship titles, and top 3 championship finishes in both the Blancpain Endurance Series andf the European Le Mans Series. 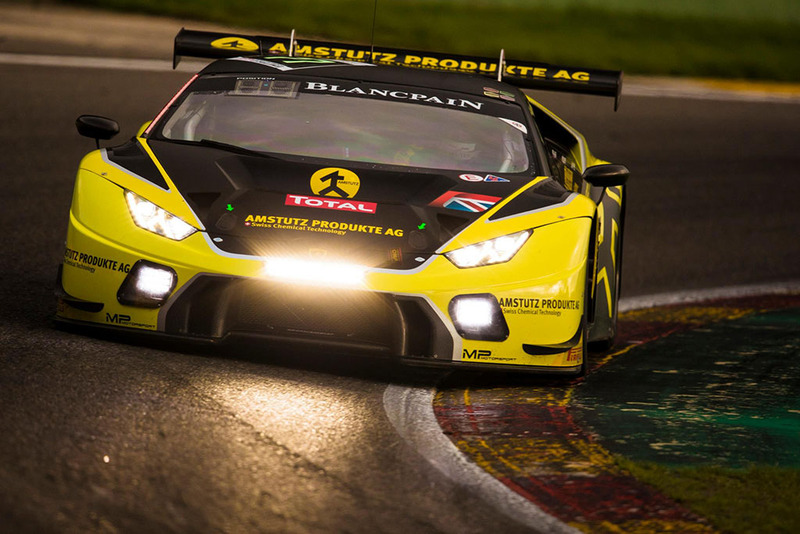 In 2016 we were chosen by Lamborghini Squadra Corse to be one of their Official Partner Teams and receive a significant level of support through to the end of 2018. In year one of this we scored the first British Gt win for the Huracan GT3 and challenged very strongly for the British title, as well as taking podium finishes in the Blancpain Endurance Series. Blancpain GT Series offers a huge media coverage, both on TV, through web live streaming and from social networks sharing. In 2015, the series has got over 2,2 millions viewers over the world, in add to thousands fans who followed the events on internet, from America to Africa, thanks to important broadcasts like Eurosport, CBS Sports USA, BEIN Middle East, Fox Latin America & Asia, BT Sport, SporTV Brasil and Motors TV. To follow all Blancpain GT Series actions is also available a free app for smartphone and tablet (Google Play – App Store). On social networks the series counts over 140.000 followers between Facebook, Twitter and Instagram.